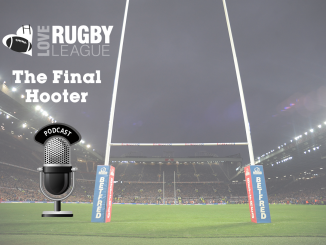 Which NRL forward is on his way to Super League? Which Toronto pair are on the market? What are Warrington going to do in the halves? Find out in the gossip column. South Sydney Rabbitohs are keen to offload 2014 NRL Grand Final winner Kyle Turner to England before the season kicks off in Australia. 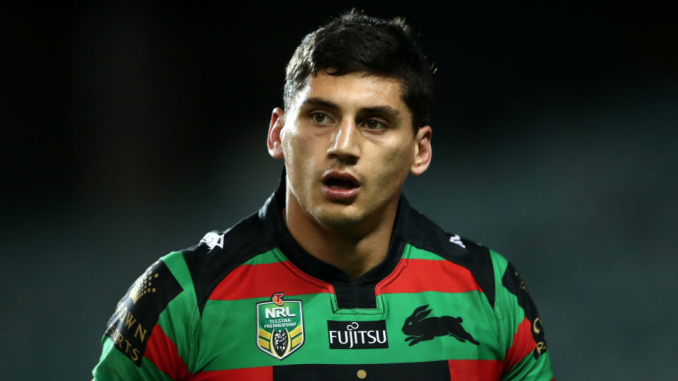 Turner made his debut for Souths back in 2014 and impressed in his breakthrough season, helping the club secure the Premiership with a win over Canterbury Bulldogs. However, the back-rower has struggled with injuries since then and made just one first-grade appearance last season. Rabbitohs’ coach Wayne Bennett has made it clear that Turner doesn’t feature in his future plans. He is set for an immediate move to Super League. There were a couple of missing faces in Toronto Wolfpack’s squad when they announced their kit numbers for the upcoming campaign last week. We know Jonny Pownall and Jack Bussey have joined Leigh Centurions and Featherstone Rovers respectively, but Jack Buchanan, Sam Hopkins and Maton Caton-Brown weren’t on the list. It has since been revealed that front-rower Buchanan has joined Queensland Cup side Burleigh Bears for the 2019 campaign, while it appears that Hopkins and Caton-Brown are free agents. Hopkins is a solid front-rower at Championship level and will bolster any Championship side’s pack, while Caton-Brown is one of the quickest players in the game. It’ll be interesting to see where they end up. Though they will apply for salary cap dispensation following the season-ending injury to Kevin Brown, Warrington Wolves are unlikely to add any new signings in the short-term at least. Wolves’ coach Steve Price is likely to give Dec Patton a chance to prove himself in the halves, alongside marquee man and Steve Prescott Man of Steel favourite Blake Austin. 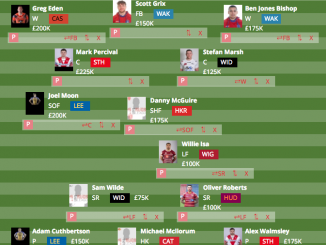 The lack of quality players available is a decisive factor, while bringing Gareth Widdop over early is not an option. Warrington have a few options they could go down. Austin and Patton could start in the halves with Danny Walker on the bench, or put Stefan Ratchford and Austin at six and seven, with Jake Mamo starting at full-back. There is still uncertainty over the future ownership of Widnes Vikings, despite speculation quietening down over recent weeks. With at least two interested parties going public about their intentions and subsequent withdrawal, it’s turned into a game of cat and mouse – there are still prospective owners keeping an eye on the situation in the hope that they may be able to get a better deal if the club was forced into administration. It also appears unlikely that trialist Dom Speakman will earn a contract with the club for the season ahead. Half a dozen NRL clubs are interested in signing blockbusting England and St Helens front-rower Luke Thompson. 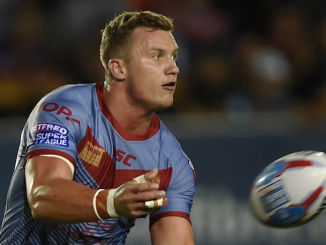 The 23-year-old was named in the Super League Dream Team in 2018 and also made his international debut for England in the same year. Newcastle Knights coach Nathan Brown handed Thompson his first-team debut at Saints back in 2013, and he is now regarded as one of the best front-rowers in the competition. Thompson is happy where he is at the moment though and it is no surprise to see him attract interest from overseas. The 2021 Rugby League World Cup is coming to the Wigan borough, but not to the DW Stadium. Leigh Sports Village will host three men’s group games. The host towns, cities and venues for the tournament have been announced, with a government target of hosting at least 80% of the tournament in the Northern Powerhouse met. Leigh staged the Pacific clash between Tonga and Cook Islands back in 2013 and the Wigan borough will play host to three more games in 2021. 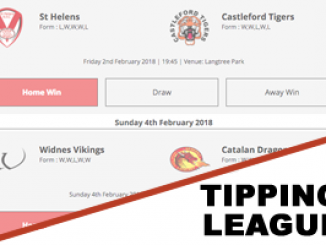 However, not having a single World Cup game at the home of the Super League champions, Women’s Super League champions and Under-19s Academy League champions – Wigan Warriors – sparked outrage on social media. But it has since been revealed that Wigan only applied to host one of the quarter-finals of the men’s tournament and none of the group games. Wigan lost out to the University of Bolton Stadium and Anfield for the quarter-final matches. 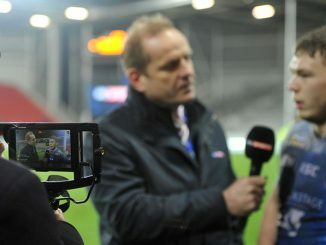 But with games at Leigh, Warrington, St Helens and Bolton – all within a 15-mile radius of Wigan – is it really that bad? Not forgetting to mention the final is at Manchester United’s Old Trafford either.